So on Friday I was invited to spend the evening at my local Lush store with lots of lovely fellow blogger's to see the new Christmas collection. I'm a huge Lush fan already and choose to use their amazing haircare products myself. Of course they do more than just hair care and I was super excited to see and try out some different products. 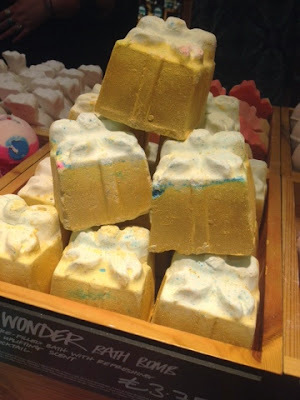 As a mum the only pamper time I ever get is to have a nice bath whilst the kiddies sleep so I really wanted to see the new bubble baths and bath bombs they had to offer. Here are just some of the new products that stood out to me! 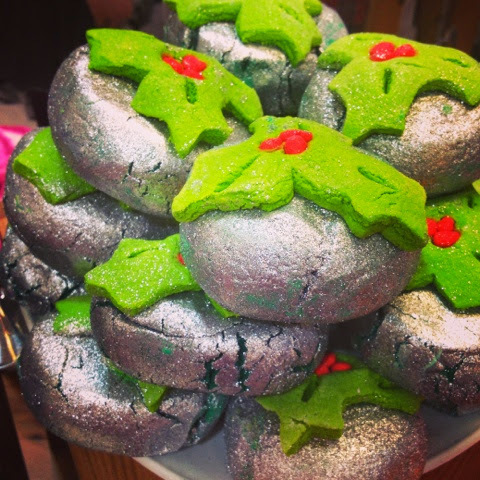 The Christmas Penguin is a super cute bubble bar with a beautiful citrus scent. 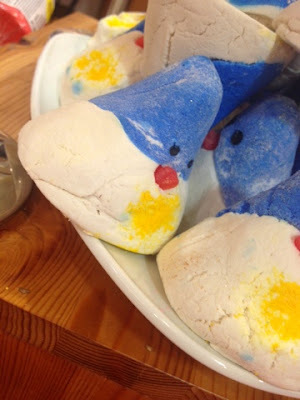 I bought one of these as a bath time treat for Gracie but might sneak a bit for myself too! The eye-catching Holly Golightly has a spicy fragrance and will turn your bath water all glittery and green! 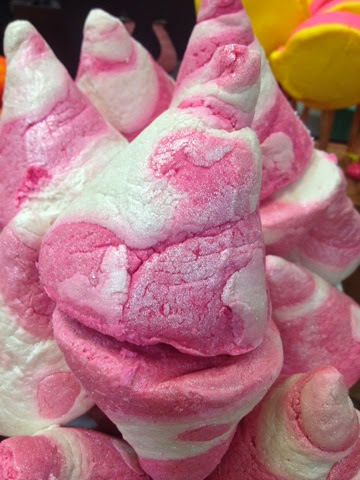 The Dashing Santa and Butterbear bath bombs would make great novelty presents! 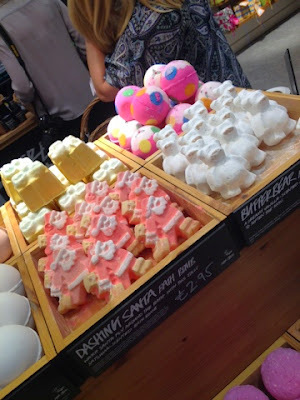 Dashing Santa will fizz up to release the sweet scent of satsumas and Butterbear has a vanilla like fragrance. The Golden Wonder bath bomb smells of sweet orange and lime oils and contains a glittering surprise. 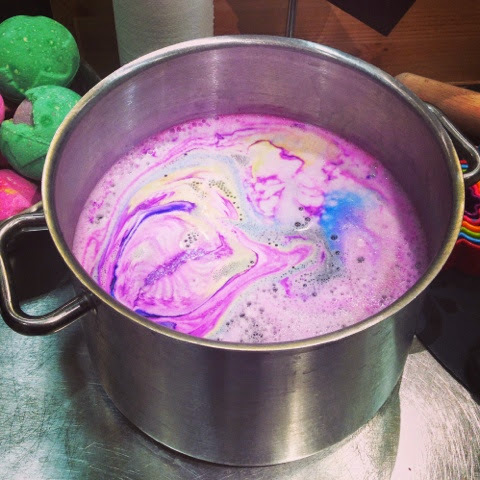 The Northern Lights bath bomb is purple in colour and when dropped into water it becomes a spectacular colour display. The jasmine and ylang ylang scents will make for a nice calming soak. 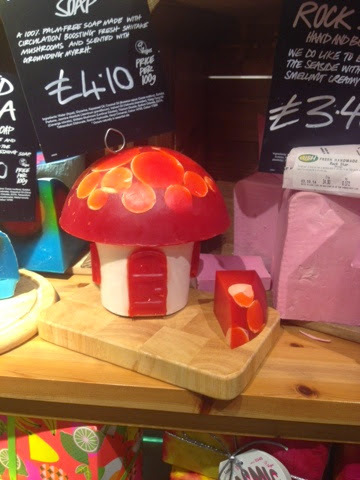 The Fairy Ring soap is stunning in appearance but I can't say I was overly impressed with the scent which is a shame. 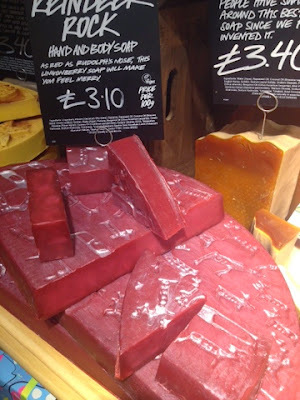 The jasmine and ylang ylang just wasn't as exciting as I hoped after being drawn in by the appearance of the soap. 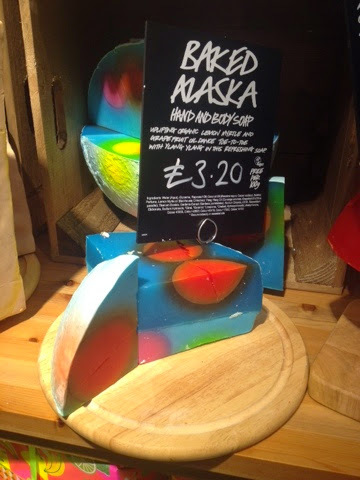 One of my favourites of the night was the Baked Alaska hand and body soap. It certainly stands out with it's bright colours and strong lemony scent. I wish I had picked some out to try. I'll have to pop this on my Christmas list. 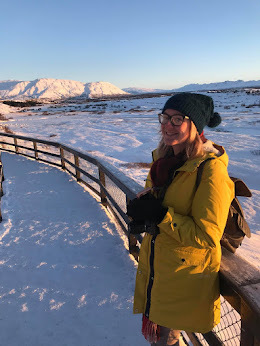 Reindeer Rock was another delight. It has a gorgeous berry scent, which I could still smell on me when I got home and it looks so cute and christmassy! You can see more of the Lush Christmas range here: www.lush.co.uk//products/christmas or you can now find them in your local Lush store. Aww I know that feeling! It's a great way to relax though when you get the chance!